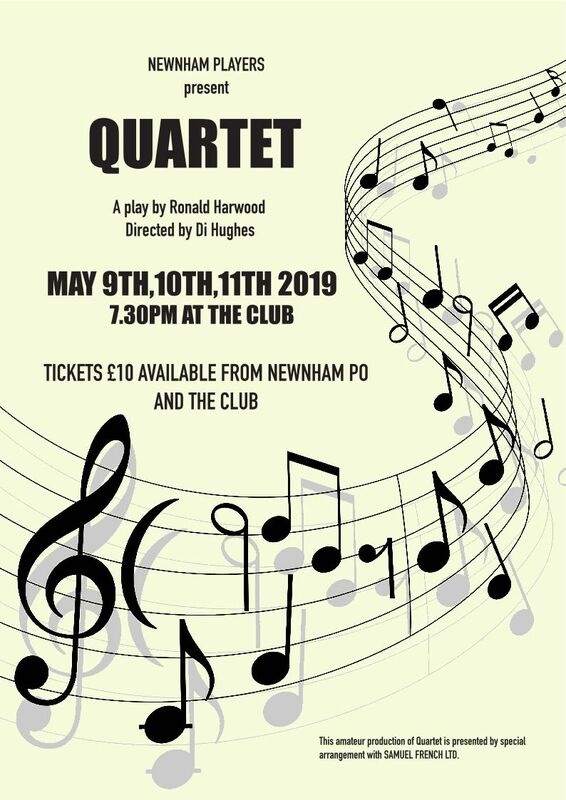 Newnham Players is a lively and friendly amateur drama group based in the village of Newnham on Severn. We usually put on 3 productions a year, ranging from comedy to serious drama. There’s no theatre (or permanent stage!) 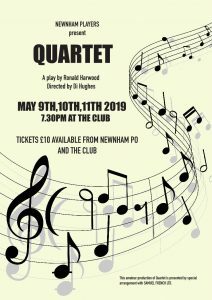 in Newnham so most of our productions take place in the large function room in Newnham Club (which seats 70-80), though we have used other venues in the past. The group’s aim is to allow people of all ages, abilities and interests to participate in Amateur Dramatics and have fun doing it, so we try a choose a varied programme to give everyone a chance both to be involved and to develop their interests & skills if they want to do so. In recent years we’ve put on a pantomime, a musical (Oliver! ), several popular comedies (Dad’s Army, Allo Allo, Fawlty Towers) and plays by Pinter, Ibsen and Bolt. 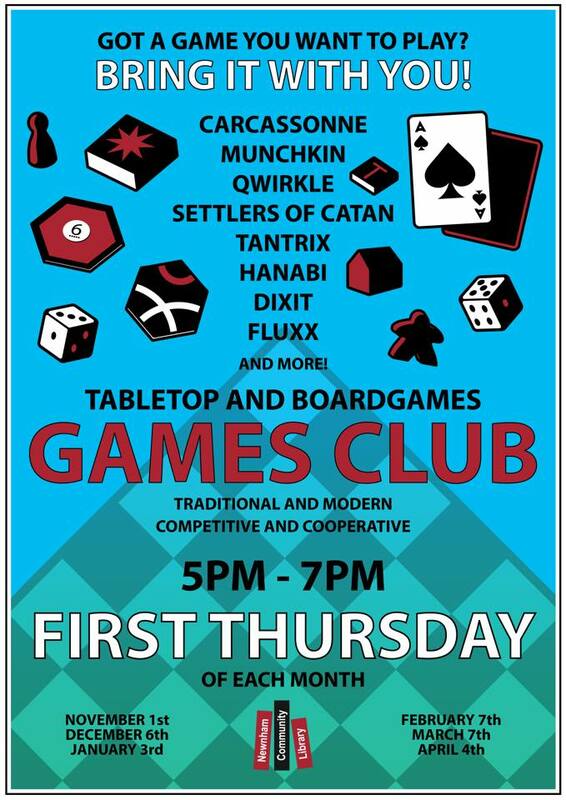 We also have a social programme that includes a Christmas Party, a summer BBQ, a quiz night and a progressive supper and we have a Junior Group that meets once a week during school term time. Our membership is a complete mix, with some that mainly want to act, some that mainly want to do backstage work or direct and some that prefer just to come to the performances and social functions.